Nice picture. Lots of possibilities here. What about having a “Nelson’s column” with Trump on top as well. 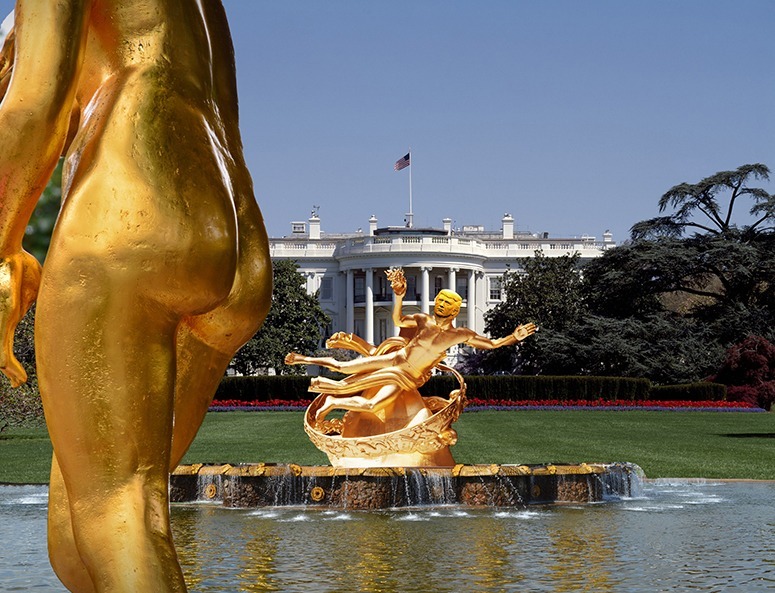 Isn’t the White House to be done over in gold leaf as well, come 20 January? Your post made me wonder about the history of gold statutues in garden design? Perhaps the idea behind Trump offering gardenvisit’s cub reporter the opportunity to be a competition judge was the economic revitalistion of Washington. The meter maids of the Gold Coast similarly are famous for wearing gold bikinis. It will be interesting to see if they continue their ‘iconic’ ambassadorial role during the 2018 Commonwealth Games.